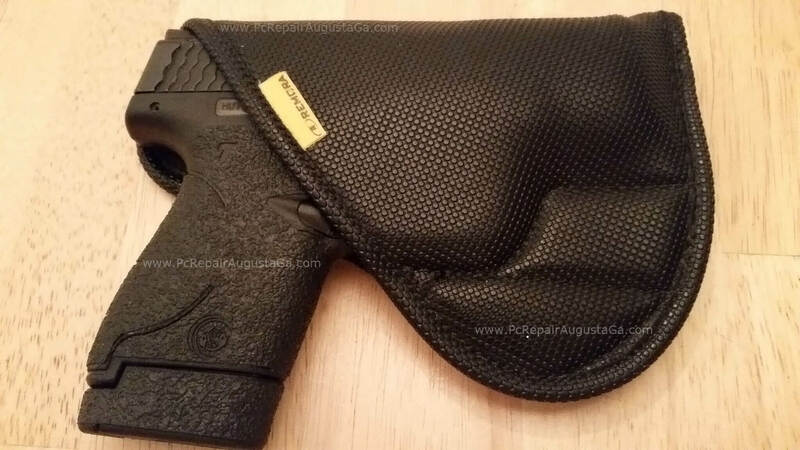 Remora IWB holster for my Smith & Wesson M&P Shield 9mm arrived a few months ago. Thought I would post a quick review and 1st impressions. Very well impressed with this holster. For $27.69 total price with shipping. Ordered & received in 6 days, first class mail. Comfortable, ease of use and very flexible in position of use with no clip to deal with. 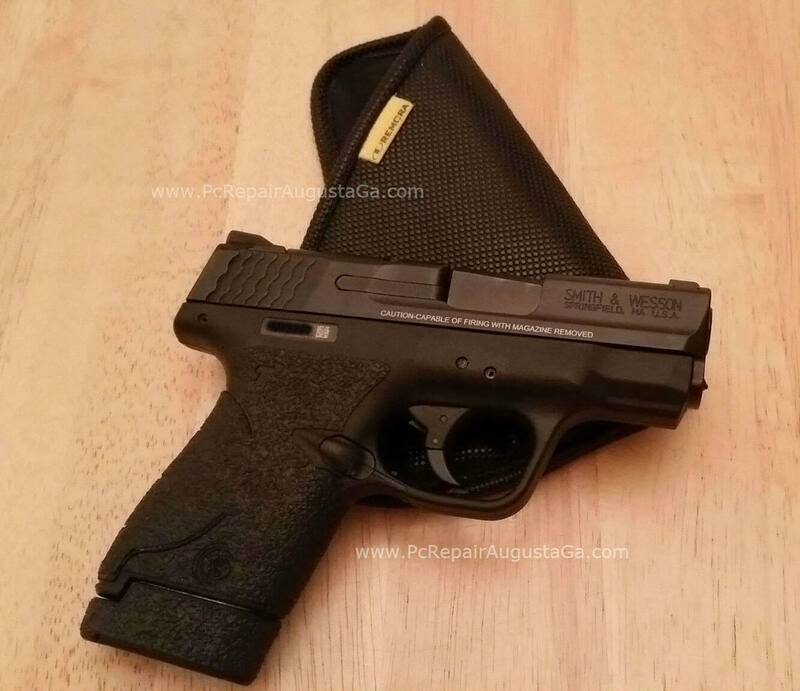 No clip or no belt loop design makes it very easy to take holster off or change position. Click on any of the photos for larger view. 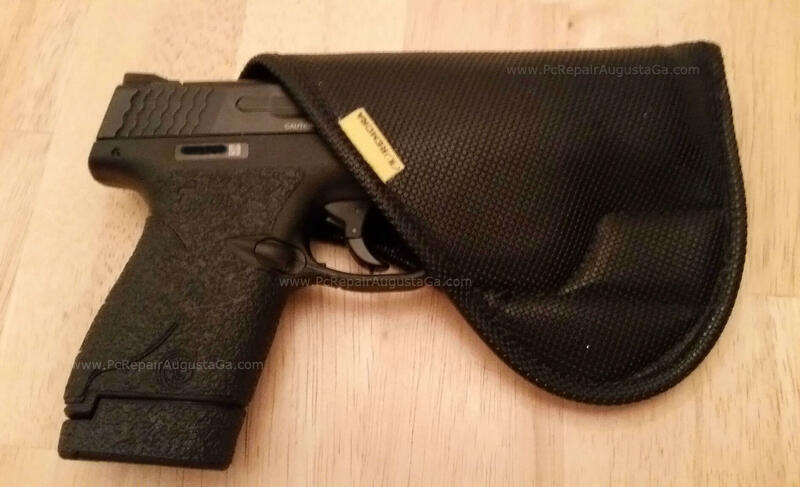 The Remora holster is an IWB (inside the waist band) very unique holster, for it uses no belt clip(s) at all. “Compression along with the no slip material that creates retention”. So far it seems to provide better concealability over the few IWB clip style holsters. 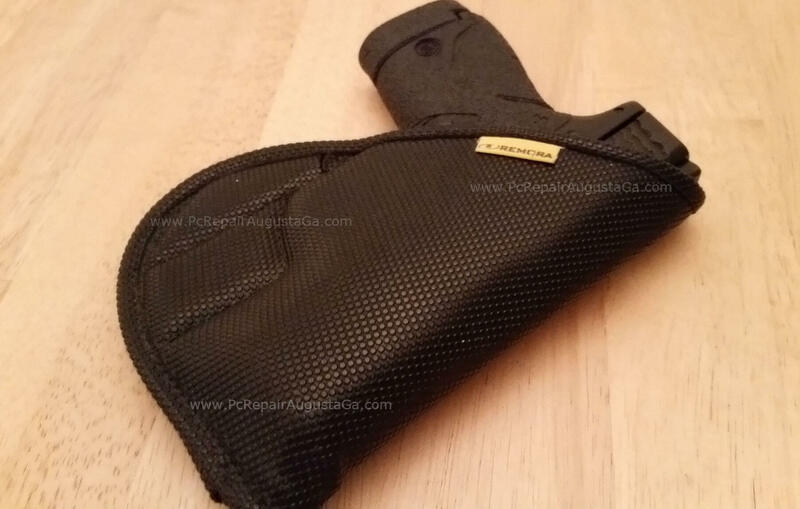 Remora’s outer holster soft shell is made of non-slip rubberized material that grips well to inside of the waist carry. You can virtually position it anywhere on your waist. High or low profile and easily position the cant at almost any angle. Ambidextrous for left or right hand draw. Was a snug fit out of the shipping envelope. Holstering the M&P Shield a few times begins to break the Remora in. Remora’s website suggest wrapping gun in a small cloth or handkerchief, with gun in holster warming the holster with a hair dryer on low. This procedure helped break holster in quicker, and provide a better custom fit quicker. Fits like as glove now! 6 months old now, looks brand new and holding up well. Have the Talon rubberized texture grip installed on the M&P Shield, along with the pearce magazine extension on the other standard magazine. Painted the ingraves initially, but after a month removed the painted ingraves……….. looked to “cheesy”. 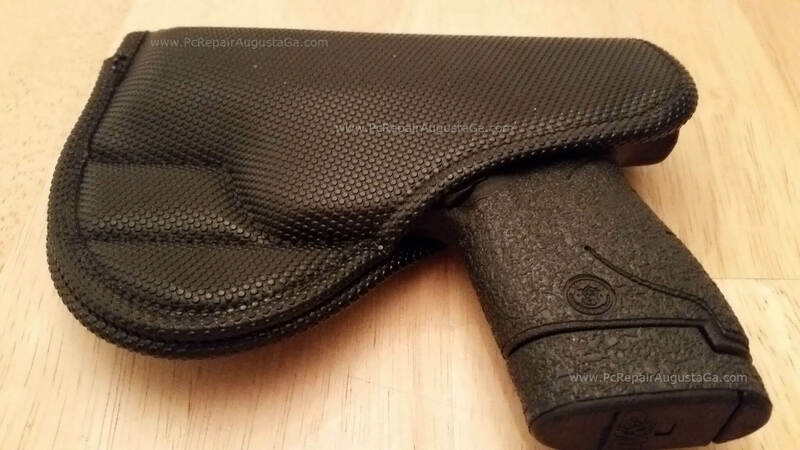 Ordered with the standard sweat shield which completely covers the gun slide right hand body side, leaving grip exposed. The full sweat shield would have covered the entire gun grip, right hand, skin side. Overall very happy with the Remora IWB holster, especially with being able to position the holster anywhere at any angle with no problems. 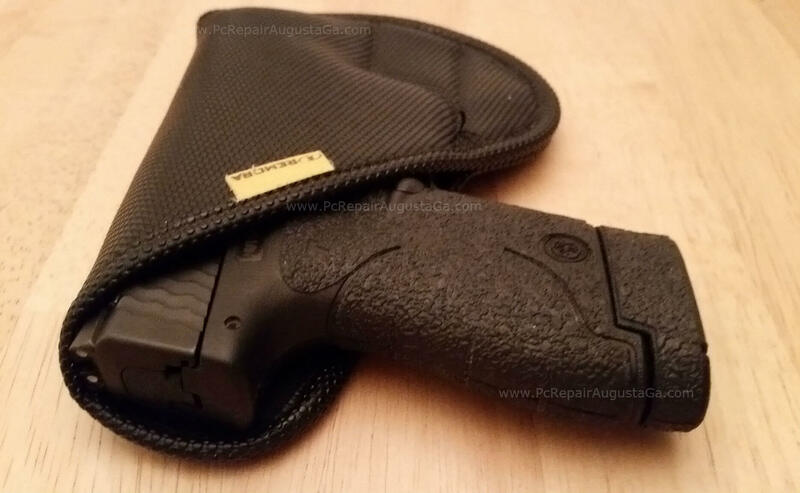 The Remora holster does not slip one bit. completely remained in place. Very comfortable, and I’m an above average sized guy. I find the Remora holster very comfortable with tee-shirt, or shirt tucked inside and the Remora tucked in between shirt & pants. How-ever with myself, the Remora holster up against bare skin (my side, hip, un-tucked shirt) it tends become uncomfortable & irritating to my skin after a few hours. The rubberized grip material of the Remora after a while starts to become uncomfortable, for myself anyway. But between material, pants and tucked in shirt very comfortable. 5-1-15 Update: after sometime wearing it now against bare skin doesn’t bother me as it did when I first received the holster. Feels natural now against bare skin, finding the right position on bare skin is what’s important to myself anyway. The only other problem I have found with the Remora holster is re-holstering. Due to the soft material of the holster, it folds in after drawing your weapon making reholstering difficult. I find it easier to pull the Remora from your waistband, re-holster weapon and then sliding holster with gun back inside the waistband easier. Also realizing, in public how many times will I be drawing my weapon,, hopefully none. 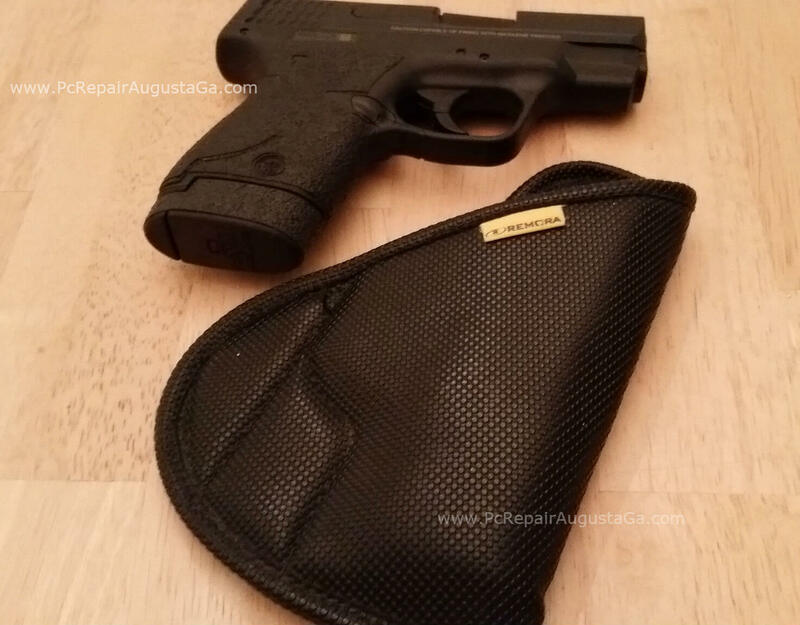 Great holster for the smaller compact M&P Shield. What I really like about the Remora is the ease of taking off, putting on and the flexibility of being able to position gun & holster anywhere on your hip. No belt clip or paddle to struggle with taking off your belt with the Remora holster. Wear with belt or no belt at all. Also great for your car, I can easily wedge between console & seat. After the first week, the holster began to form a custom better fit around barrel and trigger guard. With Remora’s break in tip, Remora holster broke in very quickly. Trigger and trigger guard is completely protected within the holster. 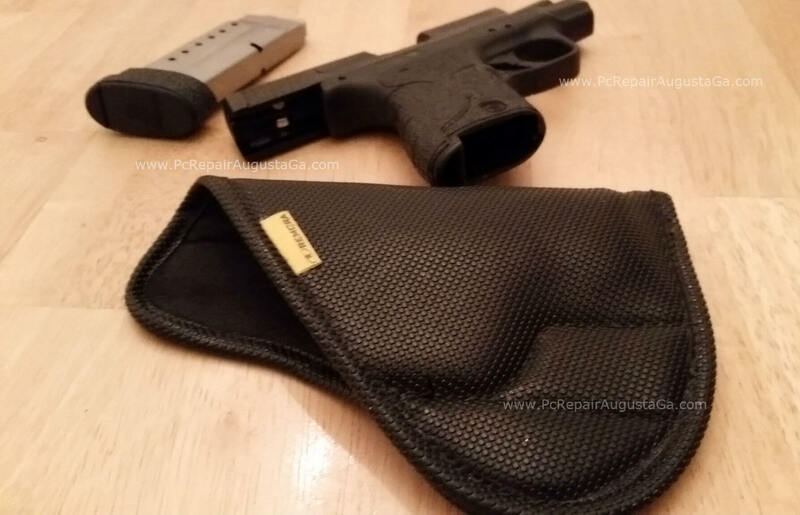 Turning the holster upside down with M&P Shield in holster, gun stayed in holster with no problems. Remora offers 2 other inside linings Plush Black or Hyde Leather lining as an added option. I stayed with the standard black denier lining. The standard black denier lining is very smooth inside. 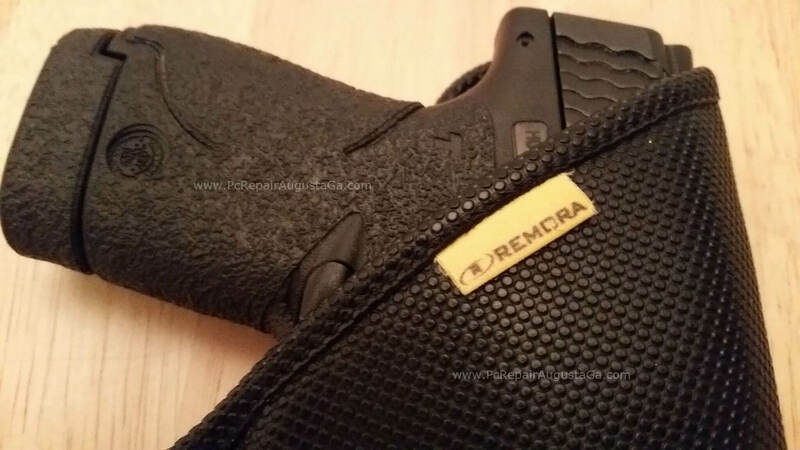 Remora also has holster option for light, laser or laser guard. 3 holster color options: black, white or NS punch.